Heavenly Father, please help us at All Saints to better serve our community and bring your message to everyone in a way that glorifies you and enhances the lives of those we touch. Amen. Family Communion followed by Easter Egg Hunt at 12.00pm. Don't forget to bring a few flowers to "Blossom the Cross". Come and join us for this convivial monthly lunch in the Church. Lovely food and good company, served in beautiful surroundings. Donations go to various charities. Thanks to all those who have supported the lunches so far. Offers of help will be much appreciated to Janet 711729 or Caroline 712073. Please check our news and prayer leaflet for up to date information. An evening service with a difference. It uses video, soundtrack, and readings. This service offers a very different way to present some key biblical messages which we hope will deepen understanding and offer new perspectives. Please do give it a try. The service will be followed by drinks in the gathering area. A Sung Communion Service using modern liturgy. The children meet in the Institute for Children's Church. A Book of Common Prayer Sung Evensong with sermon. Hymns are taken from a selection of books. A Family Service with short talk suitable for all ages, followed by coffee and biscuits. Parish Praise will usually alternate with Café Church on alternate months, starting at 9.30am. A Churchyard working party on Thursday mornings, with coffee for workers and visitors at 11.15am. All are very welcome. Please check news and prayer leaflet for further information, or the Church Notice Board for any changes. 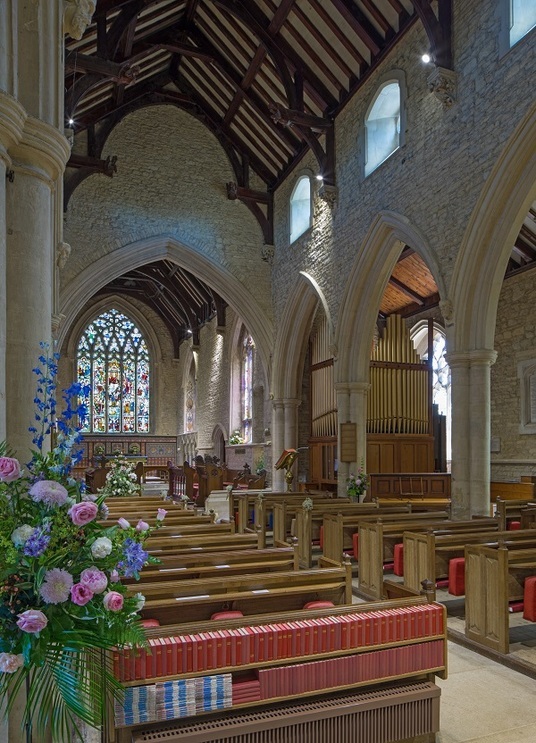 To arrange Baptisms, Weddings and Funerals at All Saints’, please contact the Rector. 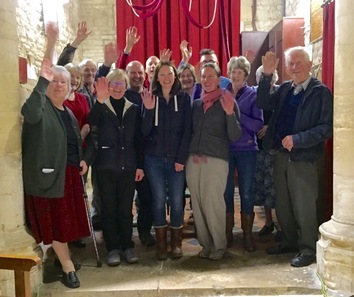 The Parochial Church Council and Friends of All Saints' encourage the use of the Church for other community events, such as concerts, theatrical evenings, workshops, etc. Please contact the PCC Secretary in the first instance. There is so much uncertainty around. No one really knows what will happen with Brexit. Depending on who you listen to it will either be the best thing since sliced bread or the worst disaster since the Great Deopression. As a result many are searching for certainty and security. Some stockpile goods in an effort to protect themselves. Others hold on to their homes rather than selling and moving. Still others hold off on investing or other spending. But things cannot provide true security. Over many years, including some of the most turbulent years of the last century, the Queen Mother knew where to find true security. That is why she had the following poem written in the order of service for her funeral. That shall be to you better than light and safer than aknown way!" Where are you finding your security? A new oak door has been installed in the outer entrance to the main porch, and new glass doors with an engraving have replaced the inner porch timber door. This creates a much needed draught lobby, as well as introducing a fine piece of 21st century art to our beautiful building. All Saints’ new heating system is installed, and the Church is now beautifully warm for our Services in the cooler months! Come and see for yourself and enjoy being warm at All Saints'. 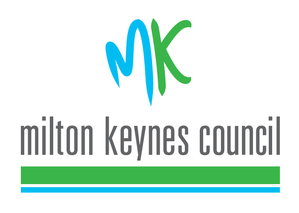 All Saints’ regularly supports the MK Food Bank, the Tearfund, and Crisis at Christmas. 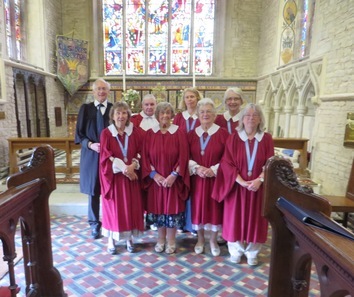 All Saints’ has an enthusiastic small choir, who lead the singing at Sunday Services. Choir members enjoy joining the Royal School of Church Music for some of their ‘Come and Sing’ events. The Choir is supported by the Village Embertones at Weddings and special Services. For further details please contact Hilary Proud via the Rector. There is an active band of bell ringers, who ring All Saints’ 6 bells before Services, and also practice on a Tuesday night 7.45 – 9.00pm. New recruits are very welcome. 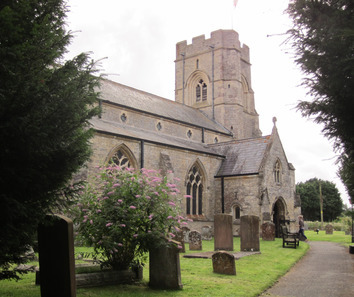 Please see the Bell Ringers’ page on this website, or contact Sheila Watts 07703 279165 for more information. The Children’s Church meets in the Institute on the 2nd Sunday each month at 11.00am under the leadership of Maddi Forrester and Judith Taylor. See the photographs for some of their activities, and please contact Maddi Forrester, 01234 714903, for more details. The Homegroup meets on alternate Monday evenings to discuss various aspects of the Christian message. The group includes people from other parishes, and new members are always welcome. Please contact Judith Taylor on 01234 240690 to find out more. All Saints’ is supported by the Friends’ group (FOAS), who are a registered charity. 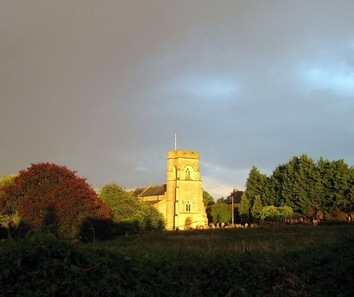 They work with the Parochial Church Council to preserve and protect the fabric of the Church and Churchyard and to raise funds to assist with improvements to make the building suitable for use by the community for a wide variety of activities. Please see the FOAS page on this website. It is believed that the building was constructed between 1340-1410. It is in the ‘Decorated Gothic’ style. Work began on the Chancel, with its magnificent east window and progressed through to the building of the tower. During this period, England was at war with France and the Black Death killed thousands of the population resulting in a shortage of skilled masons. This led to wages and prices soaring, which explains why the decoration becomes plainer on the west side of the Church. Unusually we have a portrait in brass of Reverend John Morden, who was the priest when the Church was completed. His brass records that he gave two bells, one of which had the inscription ‘In Multis Annis Resonet Campana Joannis’ (John’s bell shall sound for many a year). An interesting ‘rumour’, for which there is some corroborative evidence is that the remains of Sir Everard Digby, hung, drawn and quartered for his part in the Gunpowder Plot, lies buried in the Chancel. By the mid 19th Century, the Church was in danger of falling down. Very extensive restoration work was undertaken by the Reverend Campbell Hulton - many of his relations and descendants gave generously to the scheme and are commemorated in the mural tablets and windows which are such a dominant feature of the Church interior. Restoration and improvements continue to this day, with the recent addition of cloakroom and kitchen, as we strive to bring the building into the 21st Century.